Yep. Another subscription… I did it. No, not Fab Fit Fun, although I thought about it (their marketing is out of control), but I decided to go with Causebox. 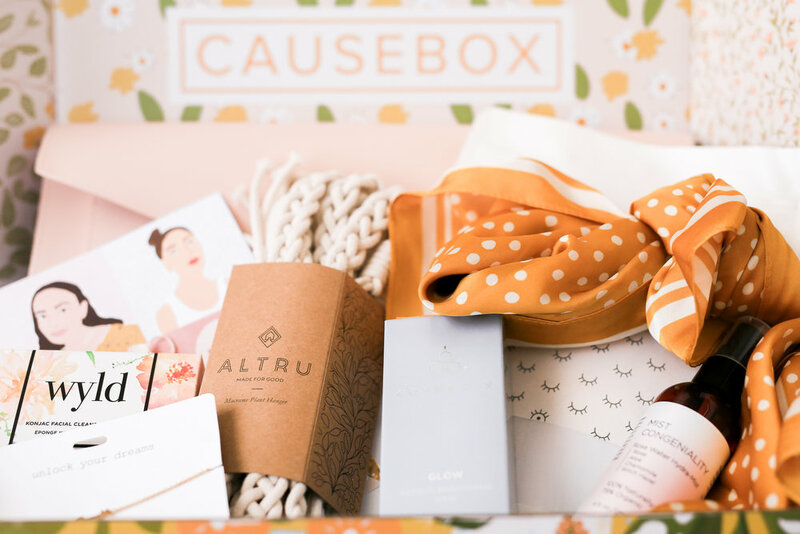 If you caught my stories recently, you saw a bit of my my first Causebox. As promised, I’m going to share a bit about all the fun things that were included, the stories behind them, what I love, and what I’m “eh” about in this quarter’s box. There’s so many options out there when you’re talking subscription boxes. In the past I’ve done ipsy and birch box, I know a few people who have tried rocks box, and I follow a ton of people who are Fab Fit Fun fans. The possibilities are really endless when it comes to ways to spend your money regularly. I’ve been getting a few targeted ads from Causebox, so naturally I was curious. I started to dig in to their past boxes, and I LOVED what I saw. They typically have a great piece of jewelry, a cute accessory, and some sort of natural beauty product. They are very focused on female empowerment, which is something I love to support. They partner with female owned and operated companies to find products and bring awareness to their brands. I couldn’t be happier with my first box. I basically love everything they put in the box. A lot of this is by design, each subscription has “options” where you pick an either/or item, which in my book is essential to making the box perfect for you. Let’s dig in to what was in the box, shall we? Thoughts: I’m in love with this! I’ve already moved in to it, taken it on a business trip, and clicked “add to cart” on a second one. I got the blush, but I HAVE to get the black. Thoughts: This scarf is absolutely lovely, and I couldn’t be more thrilled with it! I wore it the other day and got so many compliments! Y’all know I love a scarf! Thoughts: This couldn’t be cuter! I love the daintiness. I haven’t taken it off since I took it out of the box. Who doesn’t love a cute piece of jewelry?! Thoughts: I can’t wait to get this hung up somewhere in our apartment! I love that Causebox added this to the box, and that it benefits those devastated by the wildfires. Thoughts: I’m so excited about this! It couldn’t have come at a better time. The founder suggests placing it in the fridge and using it as a refreshing spritz. DONE. Thoughts: My skin is super sensitive so I have to be careful about anything I use, and I couldn’t be happier with this sponge. This is a soothing exfoliant, and I’m sold! Thoughts: This brightening mask, has made my skin look better than ever. This mask evens skin tone and makes my skin even brighter than I ever knew it could look! Thoughts: This postcard is adorable! Everyting Alja Horvat designed for this box is spot on. I love discovering new artists in a fun way like this. 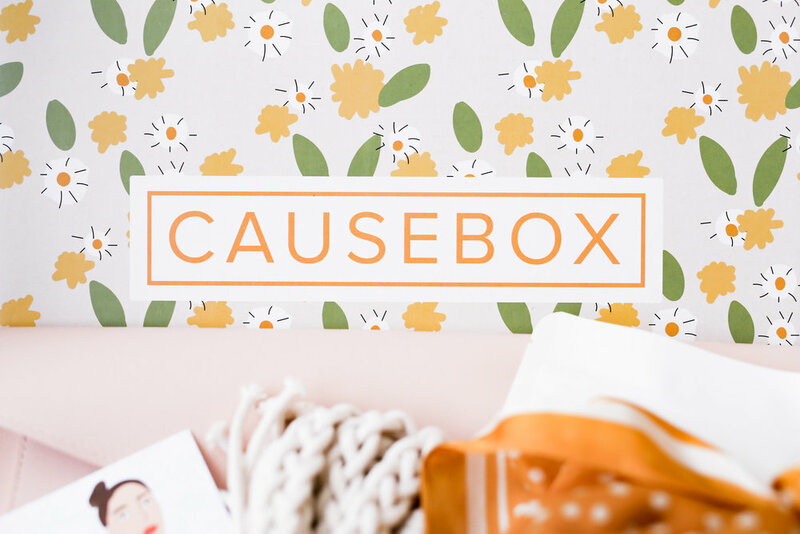 Y’all – I couldn’t be happier about the decision to go with Causebox. I honestly can’t wait until the next one! 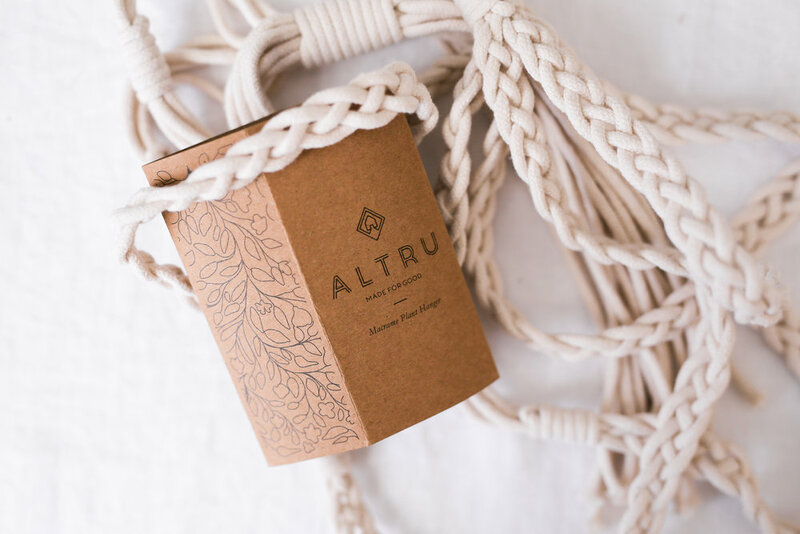 Have you ever thought about a subscription box or do you get one currently? If so, which one? I’d love to know your thoughts/see what else is out there!